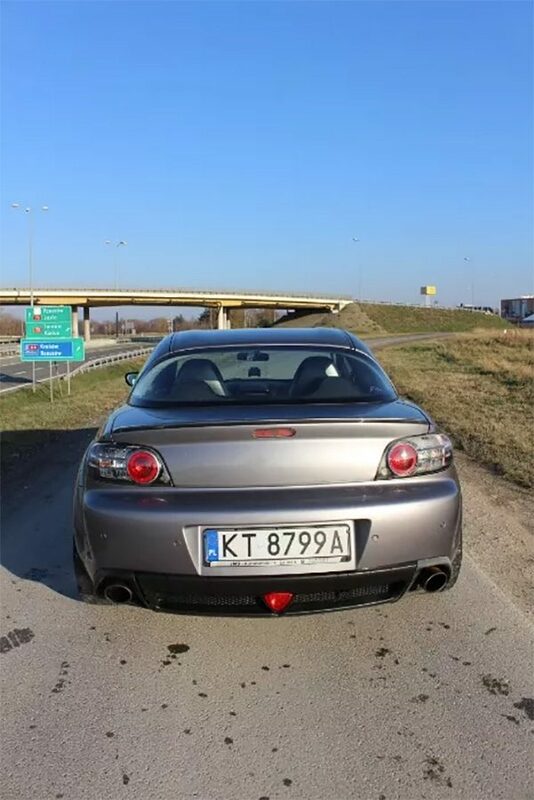 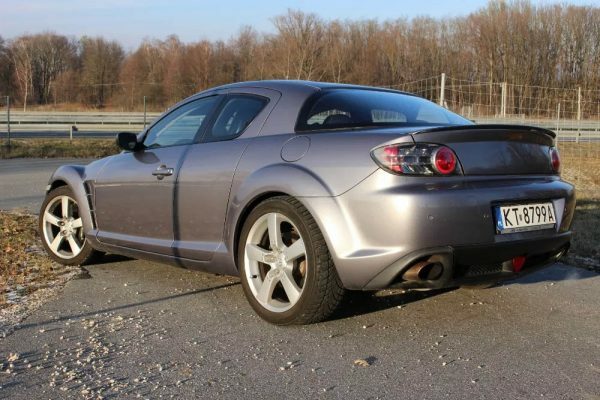 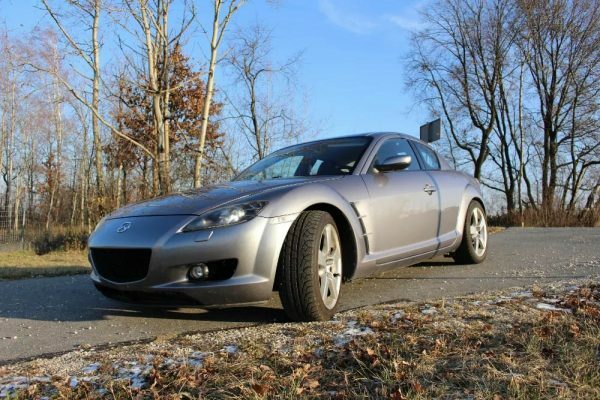 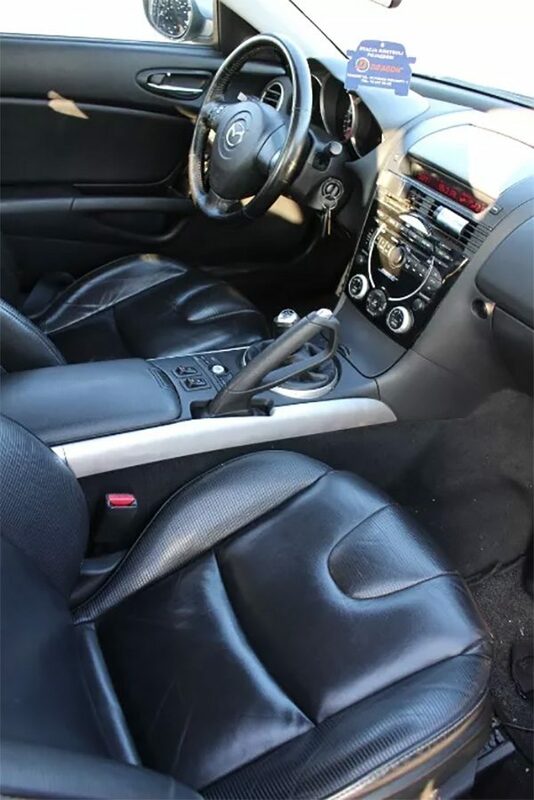 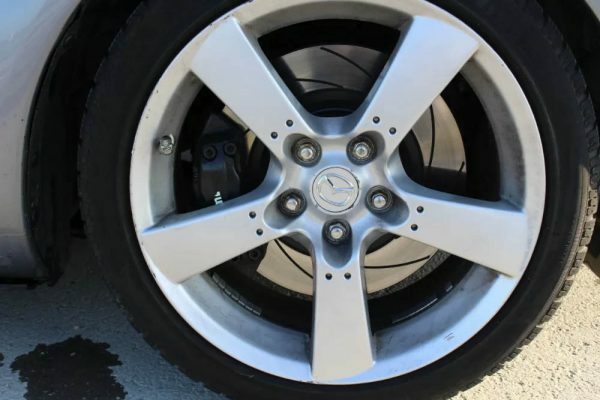 This 2004 Mazda RX-8 is for sale in Tarnów, Poland for 36,000 zł or about $9,536. 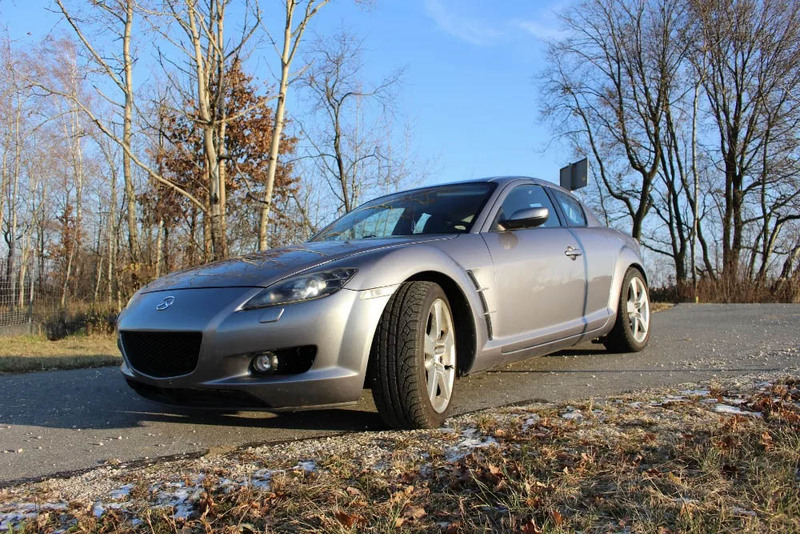 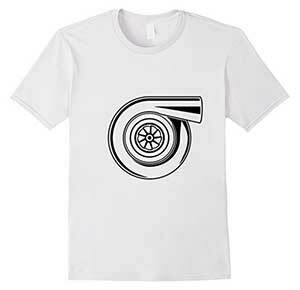 The factory 1.3 L RENESIS two-rotor was replaced with a turbocharged 2.5 L RB25DET inline-six. The engine features a custom oil pan, R34 turbocharger, HKS BOV, 450 cc injectors, and RB25DET Neo STAG6 fuel rail. 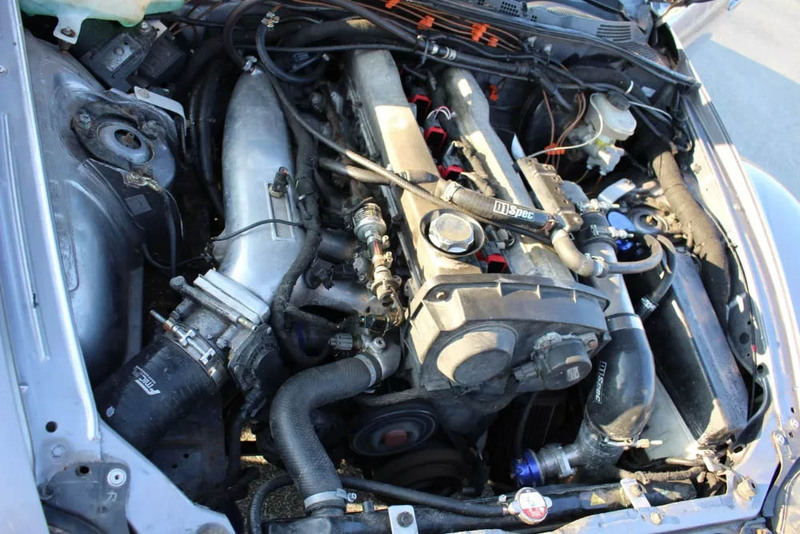 The engine makes 296 horsepower and 346 Nm (255 lb-ft) of torque on a Ecumaster EMU standalone ECU. 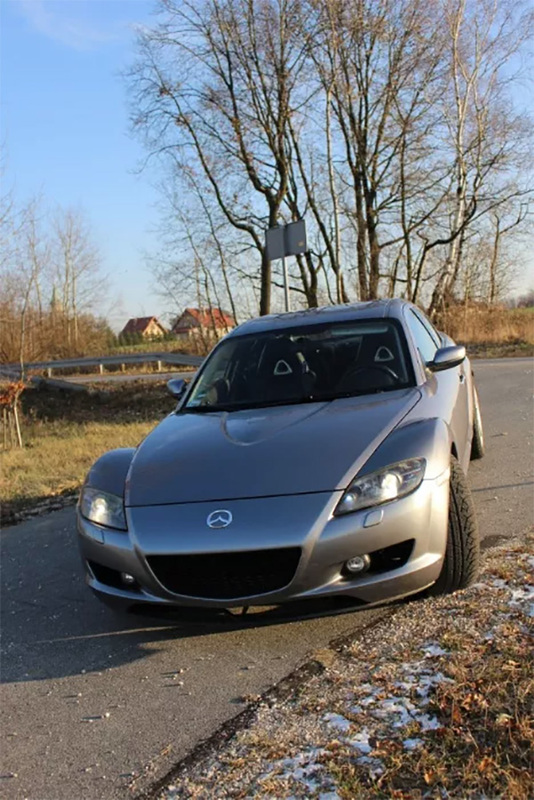 Behind the engine sits a custom sintered clutch disc and RB25 pressure plate connected to a BMW 3.0 diesel manual transmission. Brakes are also upgraded to Mercedes W220 Brembo calipers with Mikoda GT 345 mm rotors.